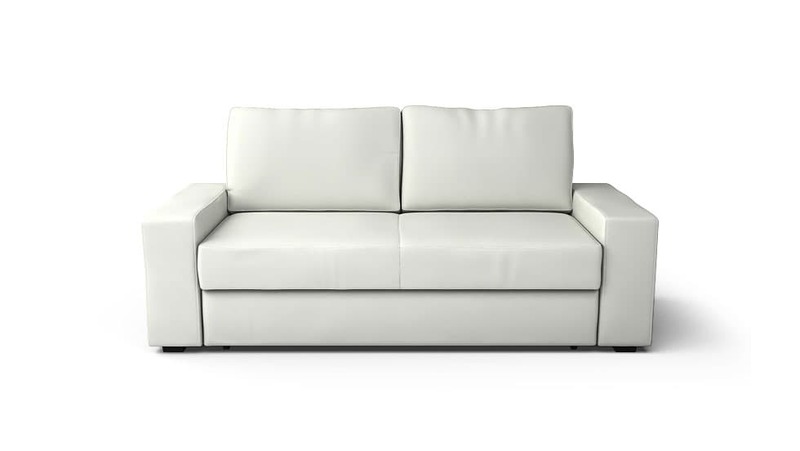 Comfort Works makes custom covers for discontinued sofa IKEA models, including the Vilasund three-seat sofa-bed and the Vilasund sofa bed with chaise lounge. Our easy-care slipcovers comes with inverted seams and industrial grade zippers. Coming out the same time as the Backabro, the Vilasund can be considered its square arm fraternal twin sofa bed. We’ve got lots of fabrics to choose from in a variety of colours and textures, so dare to be different and start personalising your sofa covers now! Fun fact: The IKEA Backabro and Vilasund first appeared in 2014, but did not seem to exist for over a year. Read more about how the IKEA Backabro and Vilasund sofa beds were discontinued here.